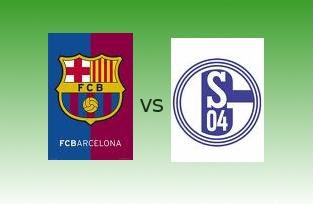 After FC Barcelona and FC Schalke's tight match on in Arena AufSchalke - Gelsenkirchen, FC Barcelona emerged as the winner with only 1 goal separating the two contesting teams giving FC Barcelona the lead for the spot in the semi finals of the Champions League. Though the goal arrived in the early 12th minute (1-0) of the game Bojan Krkic scored from close range after Thierry Henry squares to him at the second attempt after his first shot was saved by Manuel Neuer, the game remained goal less until the end of the match. Bojan Krkic after he got the only score of the match(1-0).